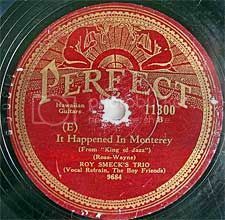 Always on the lookout for interesting music related vintage stuff and prompted by a dear friend who was looking for an old banjo to extend her musical prowess, I stumbled upon a neglected yet beautiful instrument a few days ago that was requiring a bit of fixing and TLC, so I just had to have it. 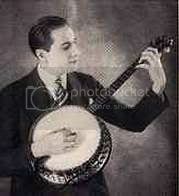 It's a Harmony Roy Smeck tenor banjo which can be seen in action in the attached clip from 1926 [apparently the first music video clip -courtesy of Warner Bros/Vitaphone] where the creator of this instrument displays his versatile prowess on guitar, ukelele and tenor banjo with a bit of harmonica thrown in for good measure. 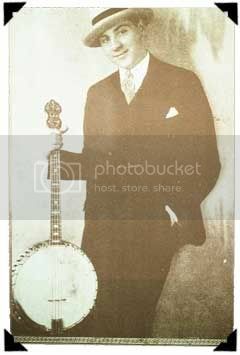 Born in 1900, Roy Smeck became one of the first self-made stringed instrument virtuosos, playing the Vaudeville circuit and appearing in movies promoting his self styled brand of happy music and eventually gaining worldwide acclaim and influencing the course of popular music. He released over 500 recordings from 1921 onwards, appearing on Edison, Victor, Columbia, Decca, Crown, RCA and other labels, pioneering the virtuoso technique later made popular by greats like Jimi Hendrix also dazzling audiences by flipping his instrument over his head, upside-down or at arm's length. while carrying a tune like no-one else before. He never fully retired from playing and was still teaching music when he died at the age of 94. A video with more footage and testimonials by other greats of the era like Mel Bay and Gene Autry is available from Cinema Guild, look it up and buy it! If you are more interested in ukeleles please look out on the web for a great interview about ukes with esteemed Roy Smeck biographer Vincent Cortese.